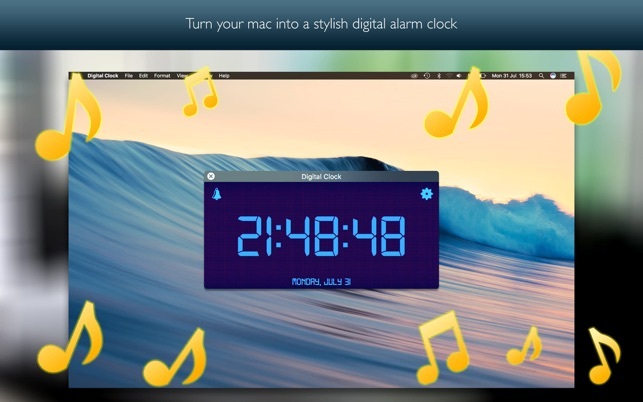 Turn your mac into a stylish digital alarm clock. 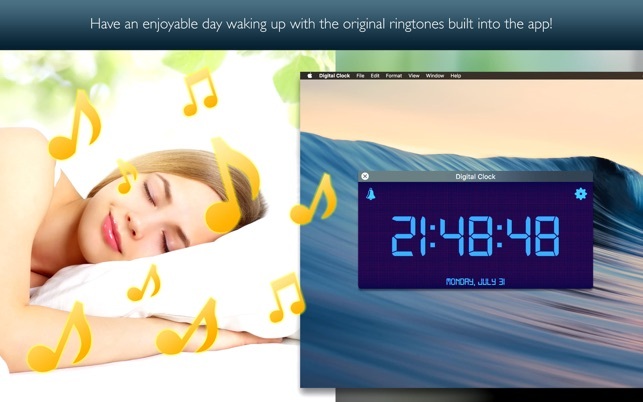 Have an enjoyable day waking up with the original ringtones built into the app! Adjust your alarms by date, start time and ringer volume. 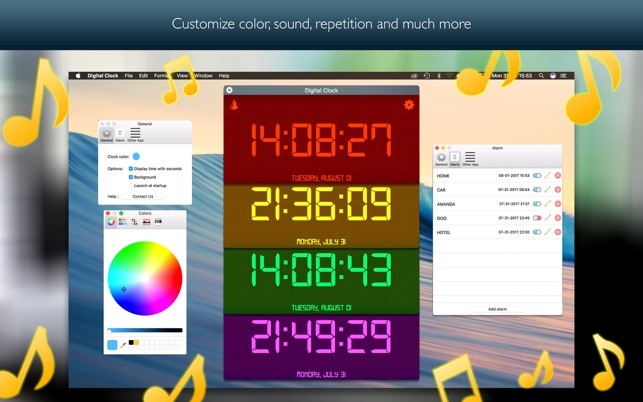 Customize color, sound, repetition and much more.